It’s been a busy few weeks for the Project Godwit team, but I’m very happy to be able to give you an update on our headstarted godwits. We collected 32 black-tailed godwit eggs from the Nene Washes back in April, under a special licence granted by Natural England. 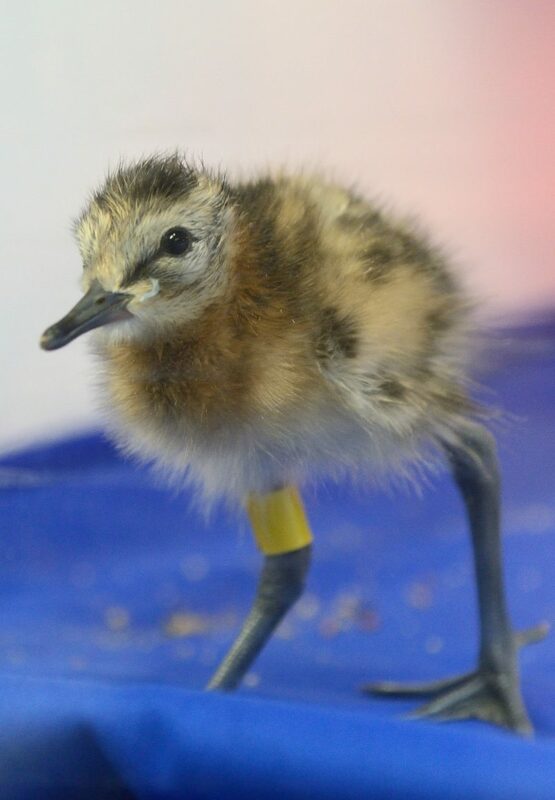 We now have 26 black-tailed godwit chicks in the rearing facility at WWT Welney. This is a fantastic result for the aviculture team, who have been busy working around the clock to care for the chicks. 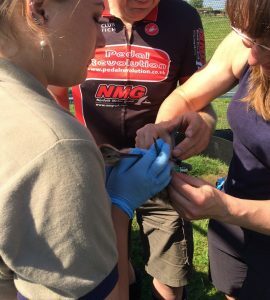 The first few weeks of life can be tough for a young wader, so we’re giving the birds a helping hand during this crucial period. We hope that headstarting will allow us to boost the number of juveniles that fledge and therefore fast-track population growth at the Ouse Washes, where flood-free, wet grassland habitat has been created with godwits in mind. These very special chicks spent their first week of their lives inside their early-stage rearing facility. They were then given a taste of life outside when they were moved to their mid-stage rearing enclosure at around nine days old. 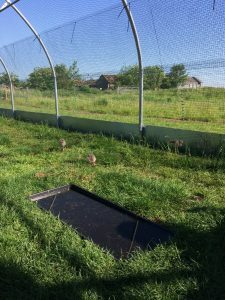 This aviary has been constructed within the wet grassland habitat at Welney, giving the chicks access to the sights and sounds of the fens as they grow. The chicks are already well able to feed themselves and have been observed feeding on wild invertebrates (worms are a particular favourite) just as they would do in the wild. Meanwhile, back at the Nene Washes, many of the black-tailed godwit pairs from which eggs were collected have laid replacement nests. Based on the distribution of nests and the timing of laying, we think that all the pairs from which eggs were collected have laid again. We can be certain that at least five pairs have relayed as these pairs contain individually colour marked birds. The godwit chicks are growing up fast. The next step for them will be a veterinary health check. If all is well, the chicks will then be transferred to their release aviary, where they will stay under our care under they are ready to fly in a couple of weeks time. We’ll keep you updated on their progress.